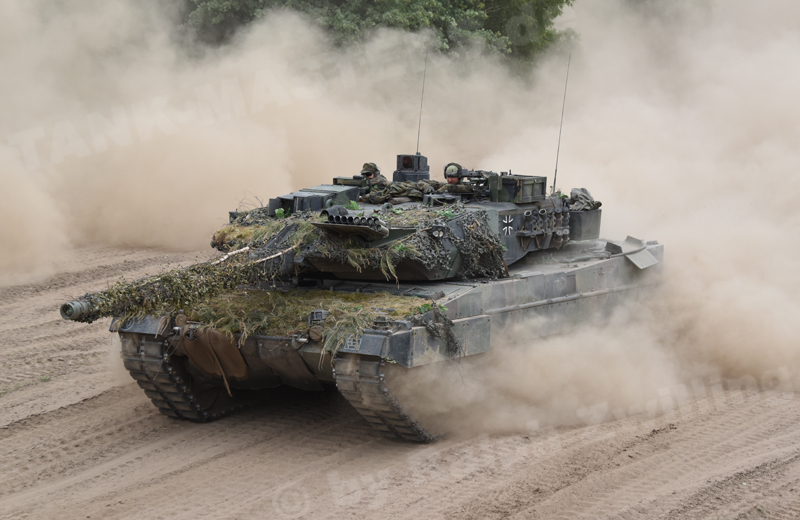 Today, with 155 vehicles in the inventory of the Bundeswehr and the BAAINBw, the Leopard 2A6 MBT forms the backbone of the German armored corps. 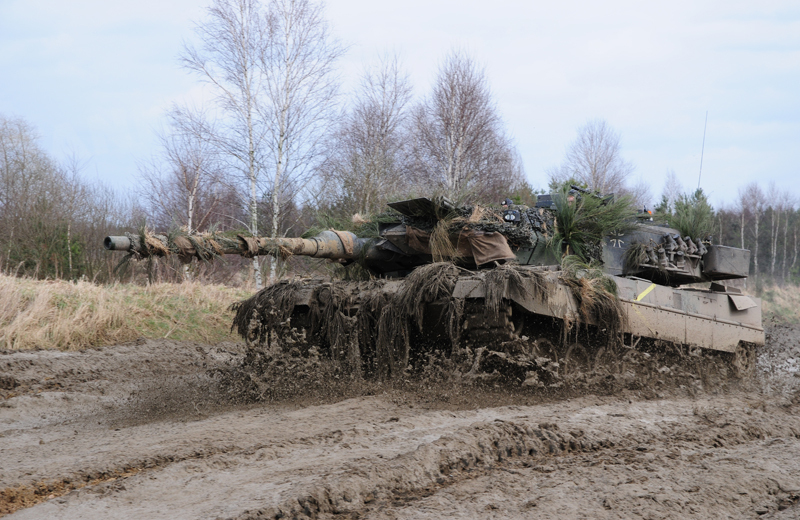 The first Bundeswehr unit, the 403rd Armor Battalion based in Schwerin Stern-Buchholz, received the initial Leopard 2A6 during an official ceremony at Krauss-Maffei Wegmann (KMW) in Munich on 7 March 2001. Overall, 225 Leopard 2A6s were procured between 2001 and 2005. The main difference between the Leopard 2A5 and 2A6 variants is the 1.3m-longer L/55 main gun of 120mm caliber which was developed and tested together with performance improvement ammunition (LKE II) during the combat capability improvement program (KWS I). 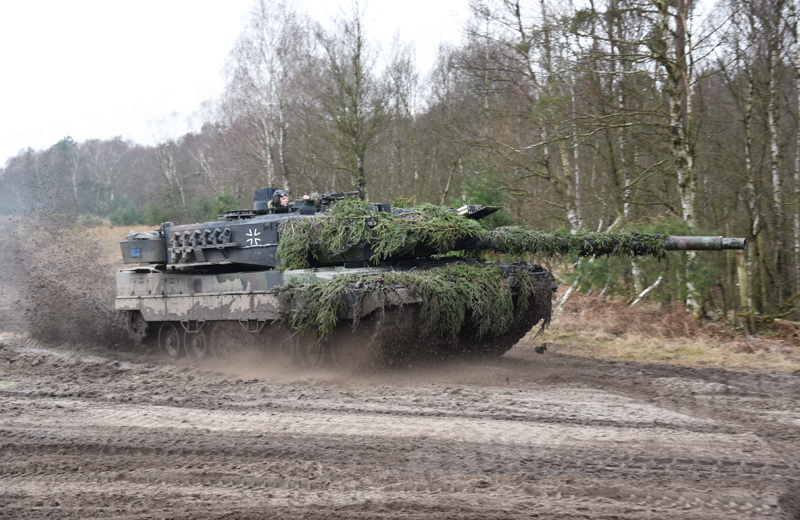 With this main gun the Leopard 2A6 can engage and destroy targets out to a range of 2,500m even whilst on the move. Furthermore, the box for empty shell cases, the field-zeroing system and recoil brakes were changed. Also, the fire control system, electric gun control system, integrated test system and loader’s control unit were modified. At the beginning it was planned to equip all Leopard 2A5s with the more powerful L/55 main gun. After the combat capability improvement effort, the MBT fleet should have included only Leopard 2A4s and 2A6s. 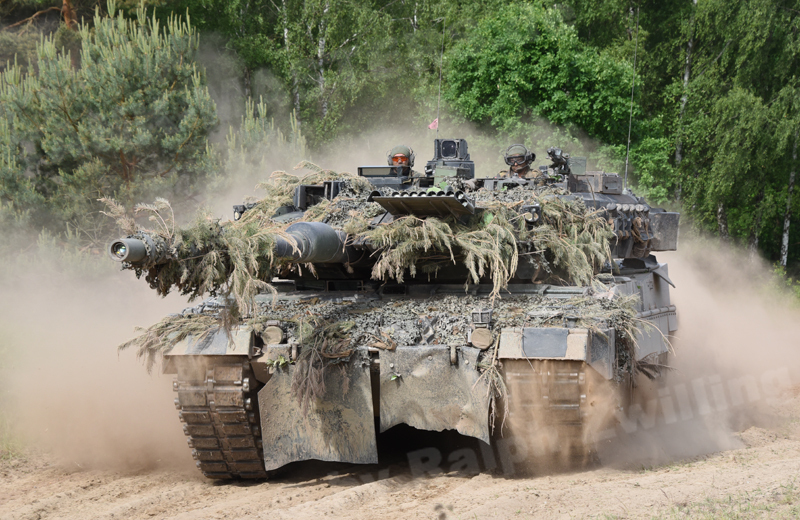 Finally, plans to convert the second Leopard 2A5 production batch into Leopard 2A6s were terminated. As a result, 125 Leopard 2A5s remained in service. Overall, 65 Leopard 2A4s were directly brought to A6 standard. This was done due to the fact that the second production batch of conversions to the Leopard 2A5 had not been completed. The main armament consists of the L/55 120mm Rh 120 smoothbore gun, 7.62mm x 51 MG3A1 coaxial machine gun, 7.62mm x 51 MG3 air defense machine gun and 76mm smoke grenade discharger system with eight launchers.